It looks like big brother has moved away from spying on your emails to spying on eagles. For the past three years the Minnesota Department of Natural Resources has put up a live feed to watch bald eagles nest and hatch their young. The location is a secret so as not to disturb the birds, but you can watch them right here. 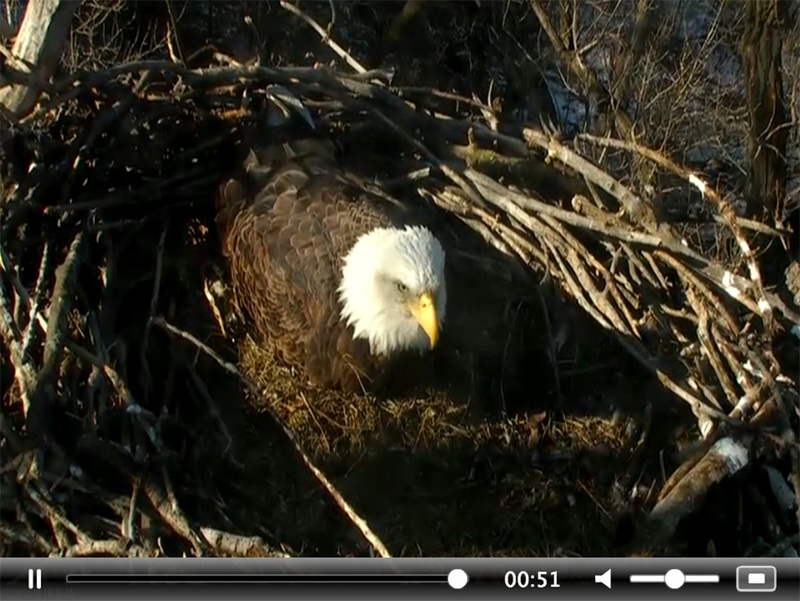 We’ve covered the “eagle cam“ in the past, but it’s fun to check in on the majestic birds from time to time. The DNR explains the project below. This is the third year DNR’s Nongame Wildlife program has streamed live video from a Bald Eagle nest in the Twin Cities metro area. We believe it’s the same pair of eagles that has nested here all those years. This year there are again three eggs in the nest. The first egg was laid on 19th or 20th of January, with all three being laid by the 25th of January. Eagles typically incubate their eggs for about 35 days. Although the nest has at times looked chilly, even covered in a blanket of snow for a while, Bald Eagles in Minnesota have adapted to laying and caring for eggs in these conditions. The male and female take turns keeping their eggs warm and dry in a deep pocket in the middle of the nest. Please check back often to see how the nest is doing, observe interesting behaviors such as parents switching off incubation duties, feeding, and protecting the eggs from the elements.